I picked up my new Strada 939 last Wednesday, and apart from riding it home from the dealer and a couple of laps around the neighbourhood, I hadn't had a chance to ride it properly until yesterday. 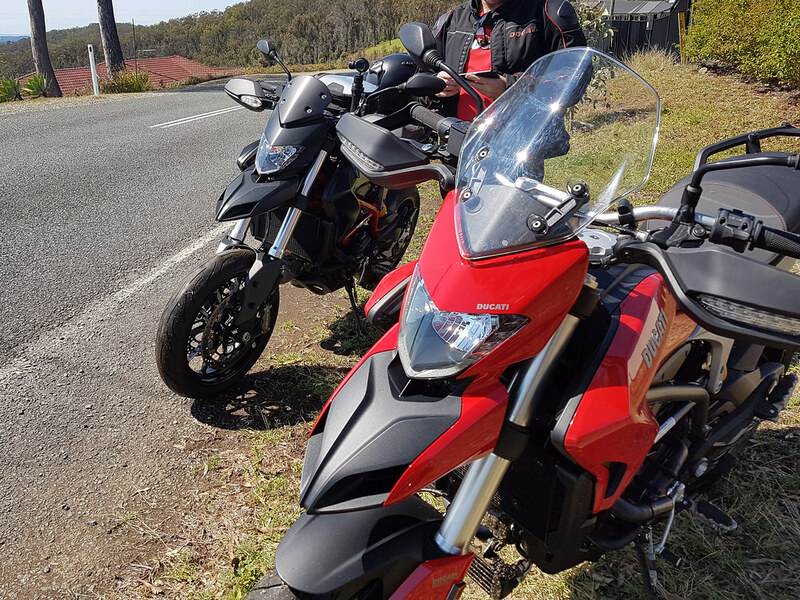 I was joined by fellow forum member heckelmeister (with all the juicy gadgets, check out the gimbal-mount camera on his bars) and we took advantage of a beautiful day in the hills north of Brisbane. 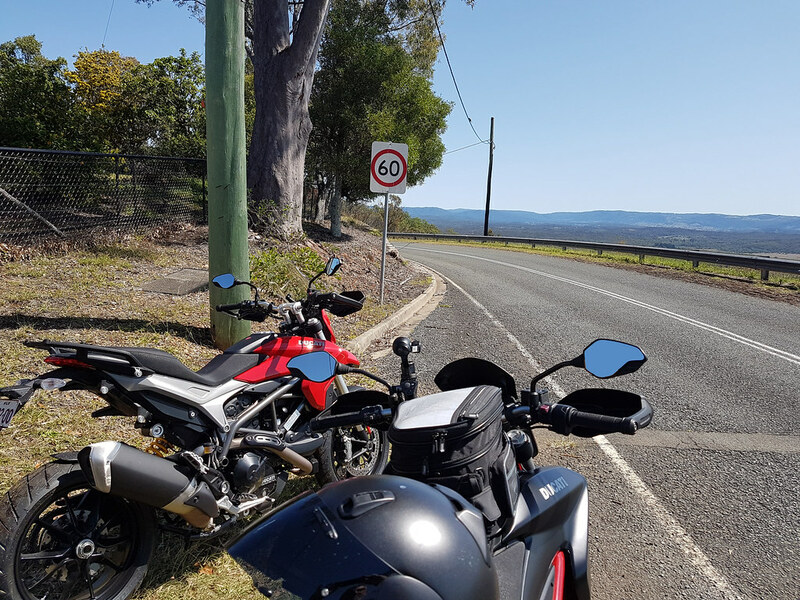 Locals will know Bygotts Rd, Clear Mountain Rd, Dayboro and Mt Mee. I love this bike! I had a Monster 1100evo a couple years back, which I loved, but the Strada motor is far more refined. Just lacking the low end of the Monster. I'm really looking forward to riding it more! Good job Dave. Looking forward to our next ride.